The CQC has called for an overhaul of health and social care funding, commissioning and regulation. 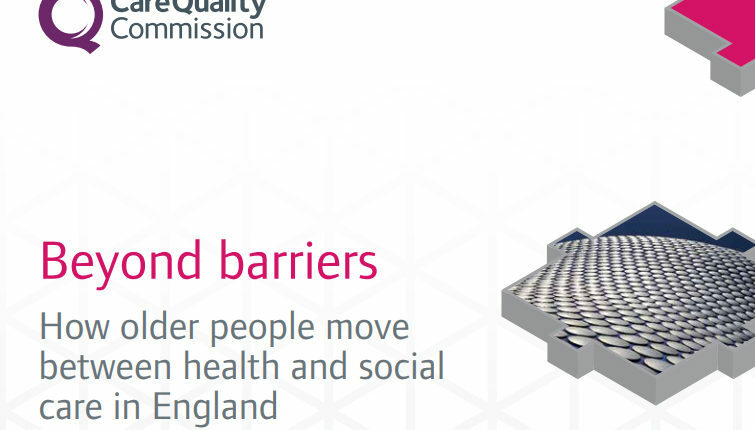 The Beyond Barriers report follows the completion of 20 local authority area reviews exploring how older people move between health and social care services in England. The report makes a number of recommendations including long-term funding reform in order to help social care and NHS commissioners pool their resources to meet the needs of their local populations. Care Minister Caroline Dinenage said: “This report confirms what we already know – the provision of NHS services and social care are two sides of the same coin and it is not possible to have a plan for the NHS without having a plan for social care. The report’s findings were welcomed by social care leaders. Professor Martin Green OBE, Chief Executive of Care England, added: “This new approach is to be welcomed particularly the recommendation for better oversight of local systems and commissioning. New regulation we hope will allow CQC to regulate not just individual organisations, but the quality of service for people across systems.